Free Facebook LIVE Video Summit with BeLive.tv & 50 Hosts! Tune in on Monday, October 16th all day on BeLive.tv’s Facebook Page! 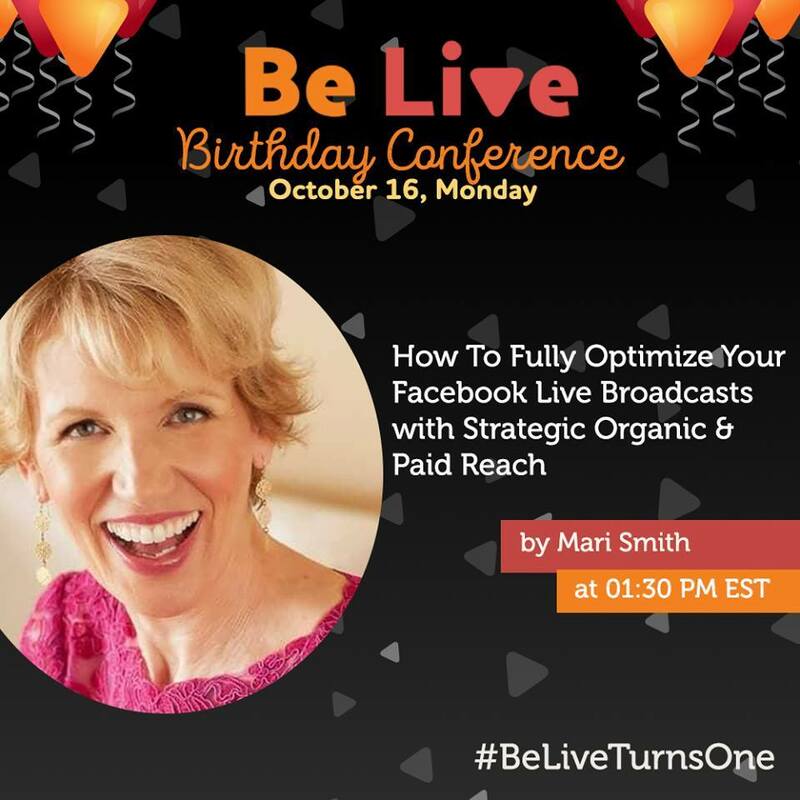 Speaking of video marketing, come join myself and over 50 other hosts celebrating the first birthday of Facebook Live app, BeLive.tv. We are all broadcasting on BeLive.tv’s Facebook Page ALL day on Monday, October 16th, 2017 starting at 5am PT / 8am ET / 1pm UK / 11pm Sydney and ending at 9:30pm ET. Segments run from ten minutes to a full hour. I’ll be broadcasting for thirty minutes starting at 10:30am PT / 1:30pm ET / 6:30pm UK / 4:30am Sydney +1. My topic is How To Fully Optimize Your Facebook Live Broadcasts with Strategic Organic & Paid Reach. The end of 2017 is on the horizon – oh my!! As you prepare your marketing plans for 2018 keep in mind that SEO is continuously evolving, just like all other forms of digital marketing. The predictions from these 48 experts provide useful ideas on what to expect and how to plan properly. I just got back from an epic event in Salt Lake City, Utah – speaking at the Nu Skin LIVE! global annual convention with 20,000+ attendees from 54 countries! What an incredible event and such a vibrant company and culture. I spoke on social selling trends and best practices. My sister was visiting for a week from Ottawa, Canada and came with me — we so enjoyed Maroon5’s concert, too!